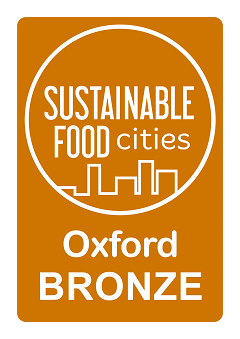 Massive thanks go to everyone who participated and helped with Oxford Green Week 2018 (16th – 24th June), marking another successful season of environmentally focused activities. Over 70 pop up events featured within this county-wide summer festival now in its fifth year, inspiring thousands of local people to make positive steps towards tackling climate change. 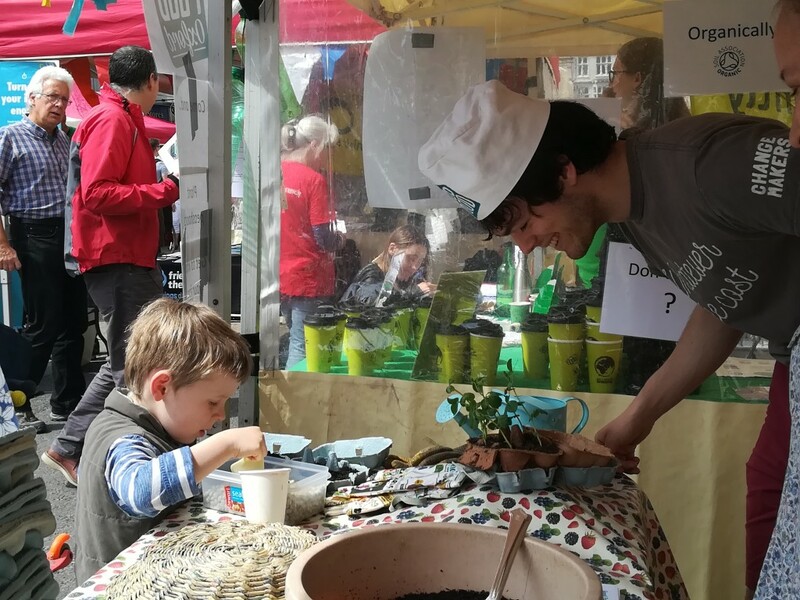 Environmental sustainability took centre stage within Oxford at the Big Green Day Out (9th June) on Broad Street, which launched the week of green festivities. Sixty stall holders showcased some of the current green initiatives across Oxfordshire through stimulating discussions, hands on activities, as well as delicious local food and eco-friendly gifts, engaging thousands of people throughout the day. A wide range of organisations participated, highlighting issues from food waste to sustainable transport and habitat conservation. Good Food Oxford’s stall focused on sparking conversations about where our food comes from, as well as how it is grown and packaged. Around 200 people planted peas to grow edible pea shoots at home, while getting to know their food further by playing our fun seed match game. The latter turned out to be surprisingly tricky for both children and adults alike! Three more planting sessions were held throughout Oxford Green Week in Rose Hill, Barton and the Greater Leys, with around 70 children and adults taking away their own sets of freshly sown peas to grow at home. Through the use of compostable egg boxes, the planting sessions demonstrated how food could be grown in a manageable form with the activity easily and cheaply replicable at home using existing sources of used food packaging. 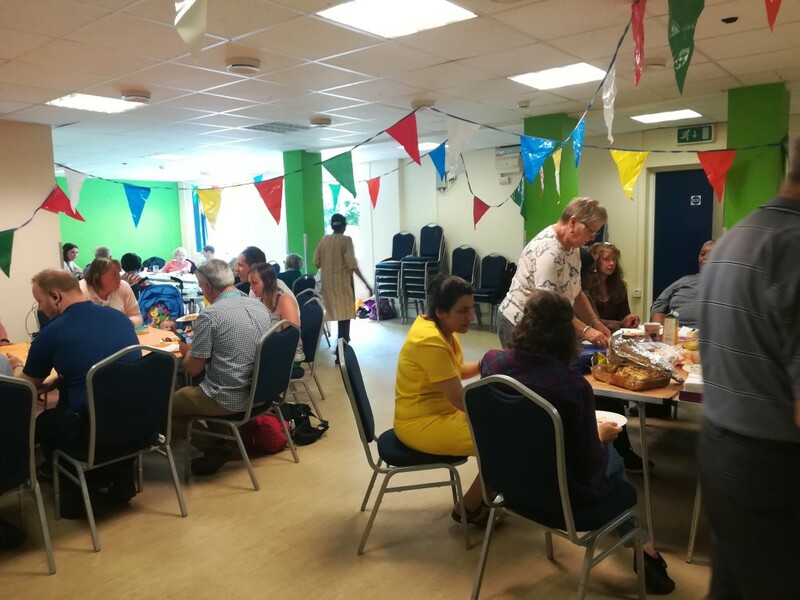 The Big Lunch, organised by FriendLeys at Blackbird Leys Community Centre, was further supported by Good Food Oxford, taking place midway through Oxford Green Week on Wednesday 20th June. 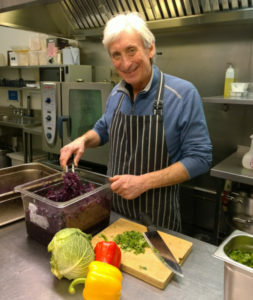 Around 50 people gathered from the local community bringing along food to share with others, including homemade quiches, vibrant salads and plenty of fruit and cakes! Food waste was greatly minimised with the use of compostable containers, allowing leftovers to be taken home by participants. This hugely successful meal forged an annual tradition in the Leys, with plans to repeat the event again next year. The Saturday before the closing of Oxford Green Week (23rd June) was the perfect sunny day for picking juicy strawberries. With this pick-your-own event now in its fourth year, around 100 Oxford residents benefited from the free bus service to Rectory Farm provided by the Oxford Bus Company, departing from Rose Hill, Templars Square, Barton and Cutteslowe. 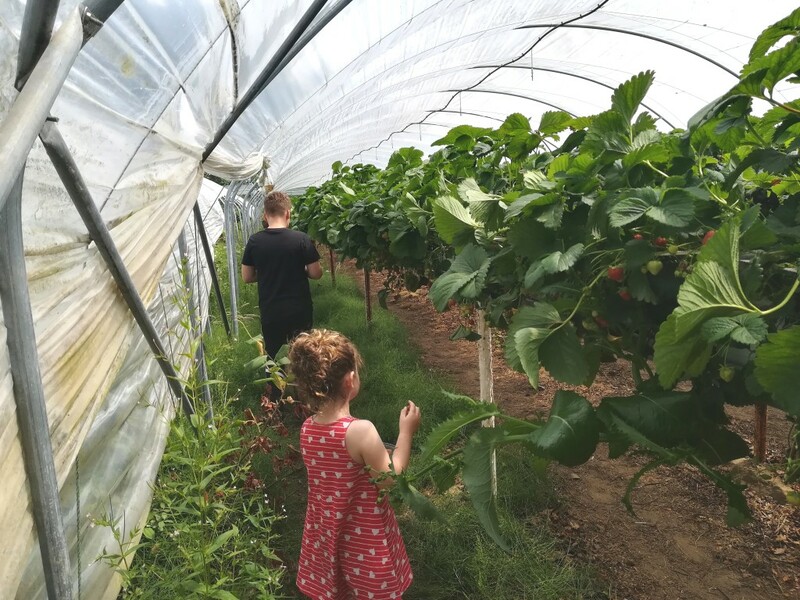 Many children experienced picking fresh fruit for the first time, enabling them to learn more about where their food comes from and the benefits of buying fresh local produce. 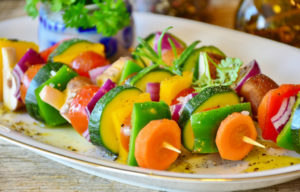 Sustainable foodie events were well represented throughout the week, including foraging courses, community allotment work parties, stalls filled with fresh local produce at farmers markets, and plastic-free workshops. 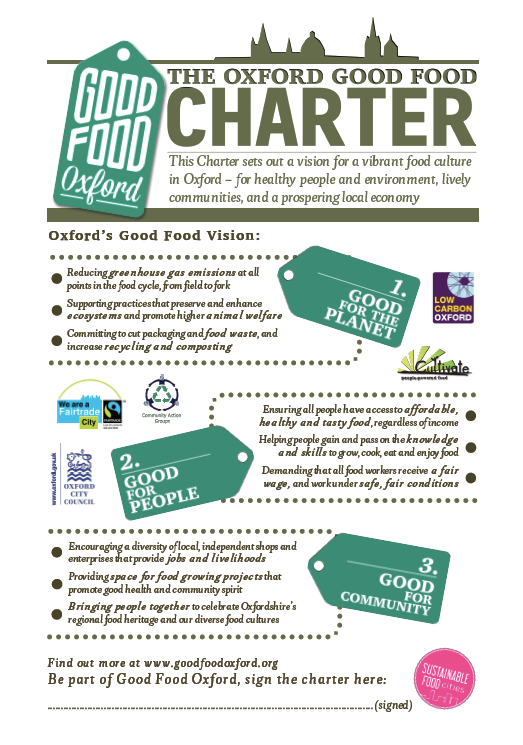 If you were lucky enough to take part in any of this year’s events and would like to share with us what you enjoyed, or alternatively what you would like to see in future years, please contact us at mail@goodfoodoxford.org. Special thanks go to the following organisations who kindly provided support and/or supplies for the various events organised by Good Food Oxford: Oxford Bus Company, Rectory Farm, Oxford Food Bank, Oxford Brookes University, Mayfield Eggs, the University of Oxford, Cutteslowe Community Centre, Rose Hill Community Centre, Barton Neighbourhood Centre, Clockhouse. 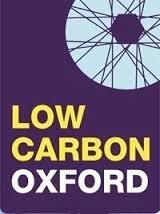 Oxford Green Week was organised by the City Council and partners, Community Action Groups Project- CAG Oxfordshire, Good Food Oxford, Oxford Brookes University, Berks, Bucks and Oxon Wildlife Trust, University of Oxford, and Oxford Festival of the Arts.